The Raymond M. Alf Museum of Paleontology acts as a center for paleontological education and research by maintaining and continually expanding its outstanding collection of over 170,000 specimens. The fossil collections consist of vertebrate, invertebrate, plant, and trackway specimens, as well as many other miscellaneous specimens. 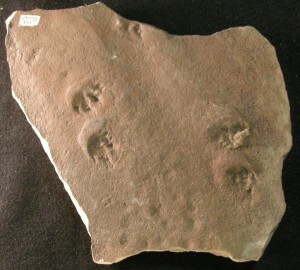 The museum’s fossil trackway collection is widely recognized as one of the largest and most diverse in the nation. The museum’s collections serve as the focal point of research and the source for exhibit and teaching specimens employed in education and public outreach, and are available for study to qualified investigators through loan or by visiting the museum. Over 95% of the museum’s specimens were found by staff and Webb students on Peccary trips, as the museum’s acquisitions focus has always emphasized field exploration and discovery.